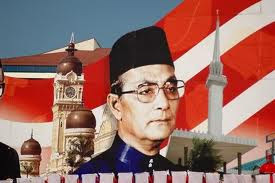 Tun Hussein bin Dato' Onn (February 12, 1922—May 29, 1990) who is of 3/4 Malay and 1/4 Circassian ancestry was the third Prime Minister of Malaysia, ruling from 1976 to 1981. He was granted the soubriquet Bapa Perpaduan (Father of Unity). He was born in Johor Bahru, Johor on February 12, 1922 to Dato Onn Jaafar and Datin Halimah Hussein. Tun Hussein is the son of Dato' Onn Jaafar, the founder of UMNO and a Malayan freedom fighter. His grandfather Dato Jaafar Haji Muhammad was the first Menteri Besar of Johore while his grandmother, Hanim Rogayah was from Scarcia, Turkey. Tun Hussein was married to Tun Suhaila Mohamad Noah for 42 years; the daughter of Tan Sri Haji Mohamad Noah Omar, former Minister of Home Affairs and first Speaker of the Dewan Rakyat. He was the brother in law of Tun Abdul Razak, his predecessor as Prime Minister, who also married another Tan Sri Haji Mohamad Noah Omar's daughter, Tun Rahah Mohamad Noah. Tun Hussein's son, Dato' Seri Hishammuddin Bin Tun Hussein, became the Home Minister of Malaysia on April 10, 2009. On the 17 September 2005, Hussein Onn's eldest daughter Datin Roqiyah Hanim, died at the age of 56 from breast cancer in Kuala Lumpur. Tun Hussein received his early education in Telok Kurau Primary School, Singapore and at the English College in Johor Bahru. After leaving school, he joined the Johor Military Forces as a cadet in 1940 and was sent a year later to the Indian Military Academy in Dehradun, India. Upon completion of his training, he was absorbed into the Indian Army and served in the Middle East when the Second World War broke. After the war, his vast experience prompted the British to employ him as an instructor at the Malayan Police Recruiting and Training Centre in Rawalpindi. Tun Hussein came back to Malaysia in 1945 and was appointed Commandant of the Johor Bahru Police Depot. The following year he joined the Malaya Civil Service as an assistant administrative officer in Segamat, Johor. He was later posted to the state of Selangor, becoming Klang and Kuala Selangor’s district officer. Tun Hussein, who came from a family with deep nationalistic spirit and political roots, resigned from the civil service to go into politics. In 1949, he became the first youth chief of UMNO (United Malays National Organization), a party his father helped established. In 1950, he was elected the UMNO secretary general. 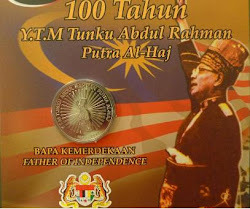 Tun Hussein however left UMNO in 1951 to join his father in forming the Independence of Malaya Party (IMP). 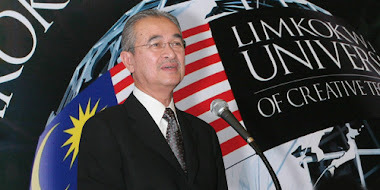 With IMP losing momentum, Tun Hussein went to London to study law at Lincoln's Inn, qualifying as a Barrister-at-Law. He came back as a certified lawyer and practiced in Kuala Lumpur. Tun Hussein returned to politics in 1968 after being persuaded by the then Prime Minister Tun Abdul Razak to rejoin UMNO. He stood and won the general elections in 1969 and was appointed as the education minister. Tun Hussein’s meteoric rise continued when on August 13, 1973 he succeeded the late Tun Dr Ismail as the Deputy Prime Minister. On January 15, 1976 he was appointed as Prime Minister of Malaysia after the death of Tun Razak. Tun Hussein was renowned for stressing on the issue of unity through policies aimed at rectifying economic imbalances between the communities. For instance, April 20, 1981 saw the National Unit Trust Scheme being launched. He also gave serious consideration to the concept of Rukun Tetangga (a neighbourhood watch scheme) and the fight against the drug menace. He underwent a coronary bypass in early 1981. On July 17 the same year, he retired from active politics and relinquished his prime minister post due to health concerns. 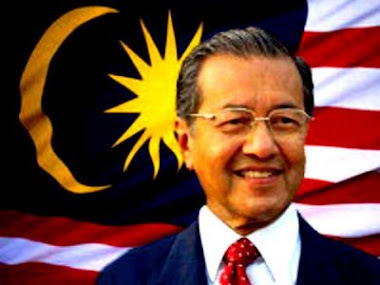 He was succeeded by Tun Dr. Mahathir Mohamad. After his retirement as Prime Minister he continued to contribute to welfare organizations. He was instrumental in the setting up of the Tun Hussein Onn Eye Hospital. He was also an advisor to Petronas the country’s oil company and Chairman of Institute of Strategic and International Studies (ISIS). During the 1987 UMNO leadership crisis, Tun Hussein fell out with Dr. Mahathir Mohamad, supporting Team B along with Tunku Abdul Rahman. Tun Hussein along with the Tunku, henceforth, became a strident critic of the Mahathir administration and died without having rejoined UMNO. He died on the 29 May 1990 in Seaton Medical Center, San Francisco, at the age of 68. He had two sons and four daughters. He is buried in Makam Pahlawan (Heroes Mausoleum) near Masjid Negara, Kuala Lumpur. 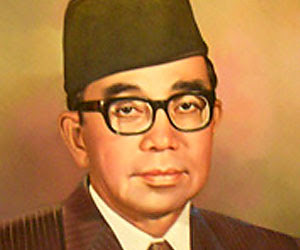 Tun Hussein Onn was looked upon as being very sincere in his struggle for racial unity and had a reputation of being firm against anyone that tried to create racial unrest in the country and it was due to this, that he was known as Bapa Perpaduan or 'Father of Unity'. 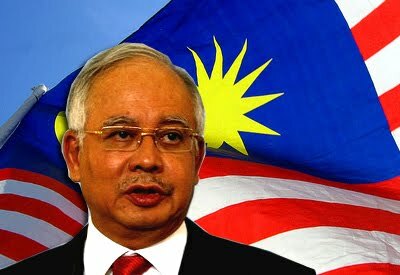 The Fifth Prime Minister of Malaysia.